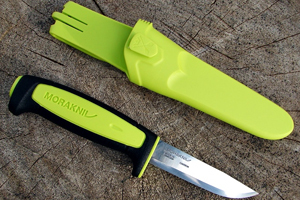 MORAKNIV® Basic 511 in black and lime! It is the tradition MORAKNIV® to offer one of the most used and appreciated craft knives Basic 511 in different colors for each subsequent year. For 2017 the lime and black are selected. Wonderful colors, a great combination for one of the oldest but not aging models!